It's a sight that can trigger dread: the low-battery message on your cellphone when there's no charger around. But New Yorkers needing a little extra juice will have some new options this summer. 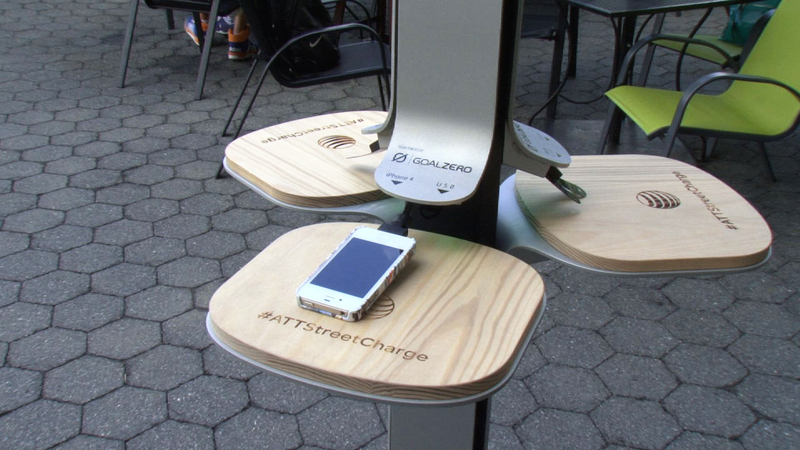 The city is teaming up with AT&T to install 25 solar-powered charging stations in parks across the five boroughs. The charges will provide a free boost to dying phones and other mobile devices. According to CNET, each station will feature microUSB, USB, iPhone 4 and iPhone 5 plugs. The solar technology in the "Street Charge" stations can fully charge up to 30 phones before it needs its own recharge -- even with cloud cover and during the night. The idea came about after Superstorm Sandy. The storm left New Yorkers desperately searching for power to contact friends and loved ones. The charging stations are in a trial run, which will expire at the end of the year. AT&T will then consider whether it will continue the program.